Moto E4 and E4 Plus press renders LEAKED! Popular Twitter leaker and VentureBeat editor, EvLeaks, has leaked the front of both Moto E devices for 2017! Motorola is leaking all over the place right now. We saw the Moto C, Moto Z2 and many other leaking last week, and now the front of the Moto Es leaked. It's also funny that Motorola itself leaked these devices in its anniversary video two weeks ago, showing the Moto C and the E Plus. But now, we have clear confirmation of the front of both devices. They are actually very different. One of them looks premium while the other looks like the usual Moto E affordable phones. 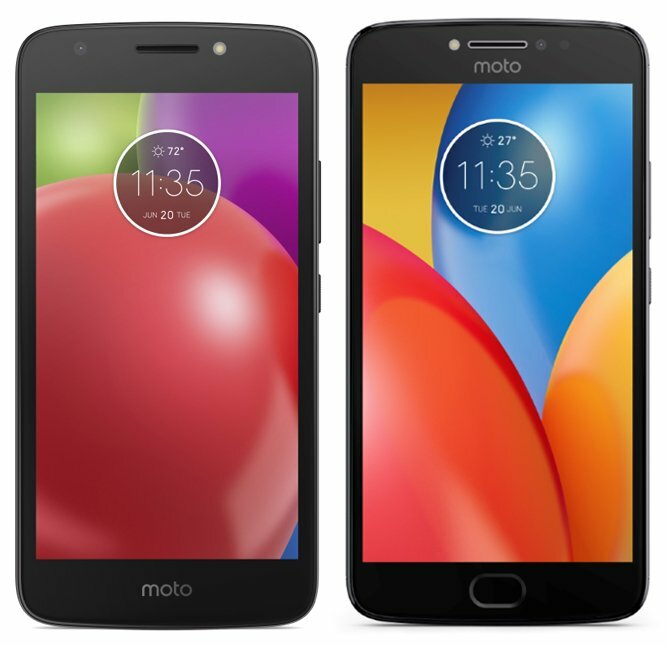 We now know the Plus will have a bit larger screen and the regular Moto E4 will have a smaller screen and the Moto logo on the bottom of the device. Both of them seem to have a front facing flash. The phones reportedly passed through the FCC already and are all over the place, meaning Motorola might release them soon. Are you excited for these, or waiting for the Moto C?